MOSCOW, February 17. /TASS/. Predominant anti-Russian tendencies in Washington’s policies will scarcely subside before the midterms scheduled for November, Russian Foreign Minister Sergei Lavrov said in an interview with Euronews channel on Friday. "I do hope the predominant tendencies we’re witnessing in Washington now will fade away these somehow," he said. "It’s clear though this shouldn’t be expected before the midterms in November because the struggle for seats in the US Congress and gubernatorial positions is already in full swing." Lavrov pointed out the numerous speculations afloat in the US claiming that Russia had put stakes on Trump and had lost the game. In reality, "Moscow is prepared in all cases to cooperate with a president and a government that is elected by the people in any country." "There’s much talk about state interference in the electoral process but I haven’t seen a single fact to date," Lavrov said. "A US assistant secretary of homeland security supervising cybersecurity said unambiguously a few days ago they didn’t have any evidence of Russia’s interference with the last presidential race," he said. 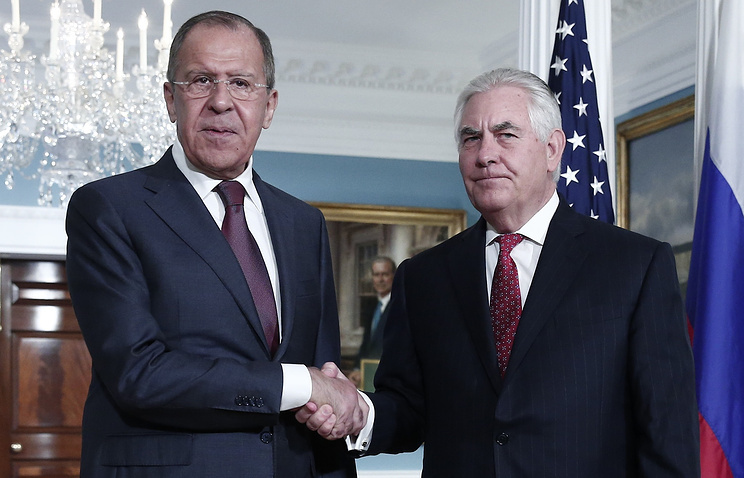 "The situation where no facts have leaked the public sphere over almost half-a-year that the investigation is in progress is simply impossible for the U.S.," Lavrov said. "If there were at least some smoldering, smoke would be seen at once." "I think they’ve cornered themselves by declarations about precise data on Russian meddling and now they are trying to at least some retroactive justifications but still they are floundering," he said.